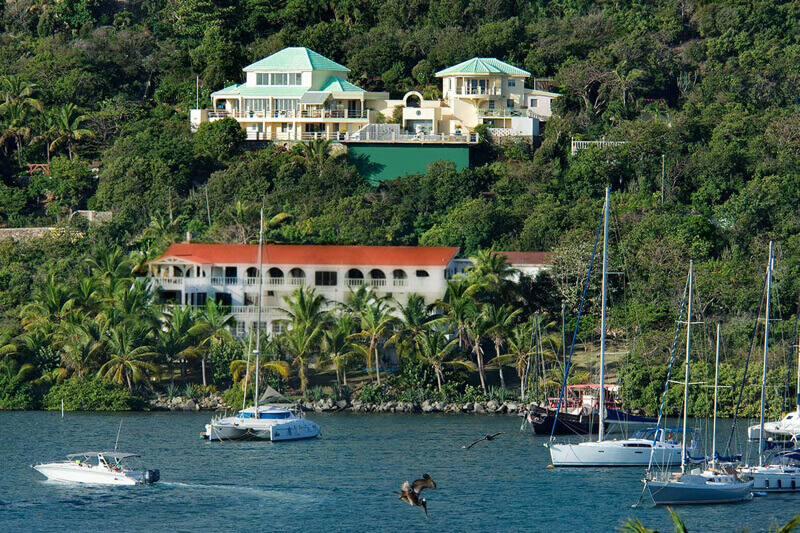 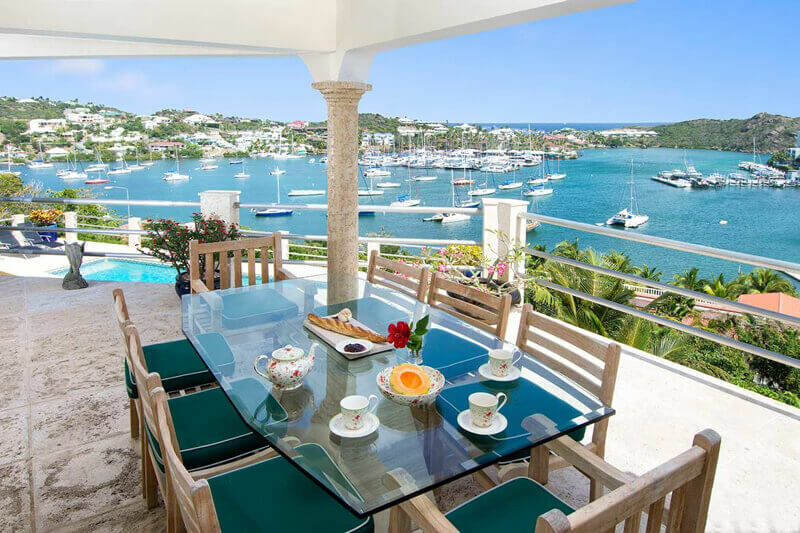 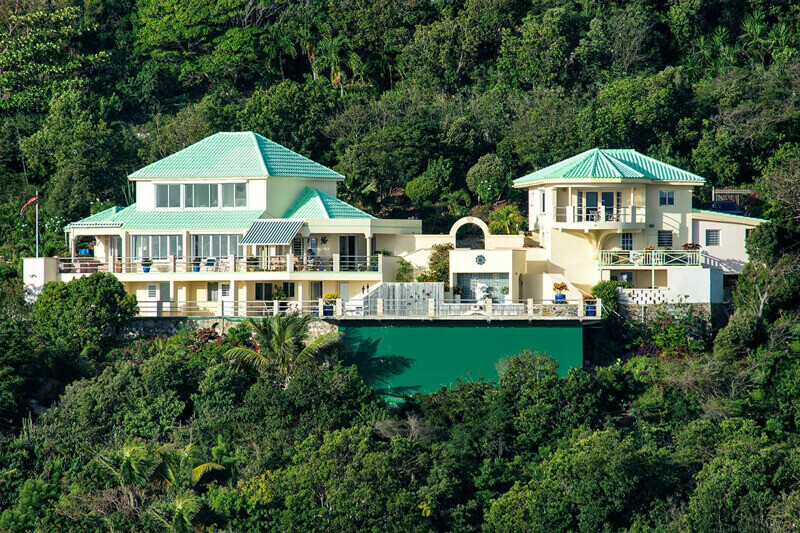 Rise to the magnificent scenery of the Caribbean’s emerald waters on this tropical estate located in the upsacle area of “Oyster Pond” on the Dutch side of St. Maarten. 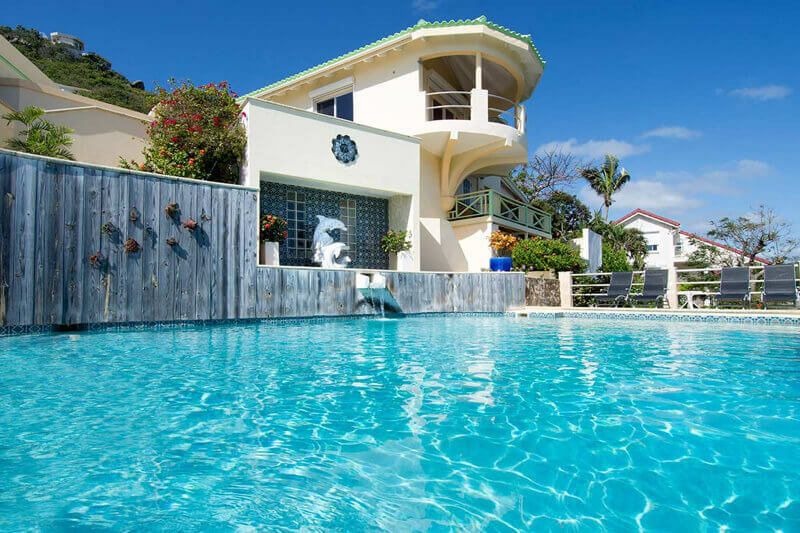 Villa Sunrise with its 5 bedrooms offers privacy and seclusion for groups up to 10 people, yet it is very close to the beach. 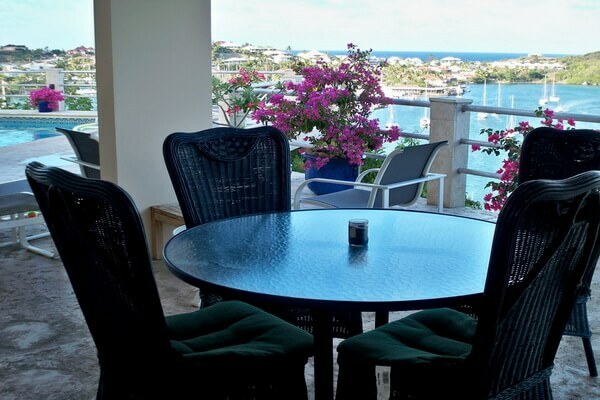 A short walk across the street and you are on Dawn Beach, one of the finest beaches of St. Maarten, and also a good spot for snorkeling. 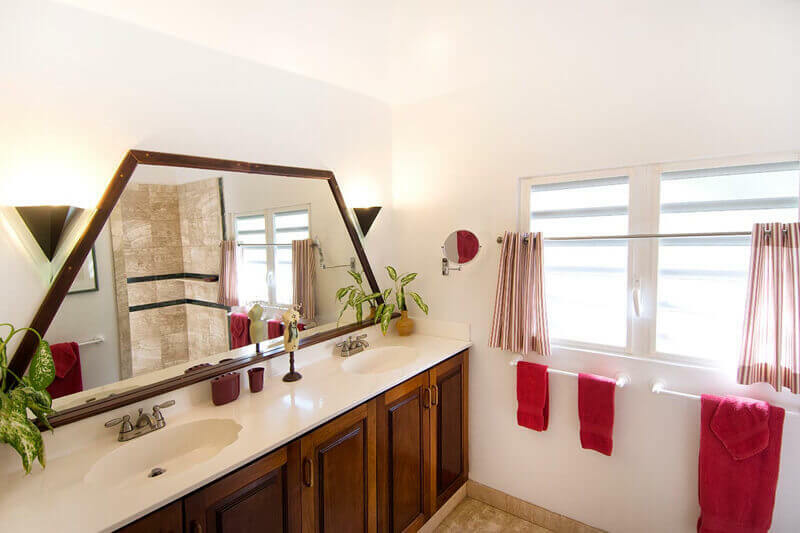 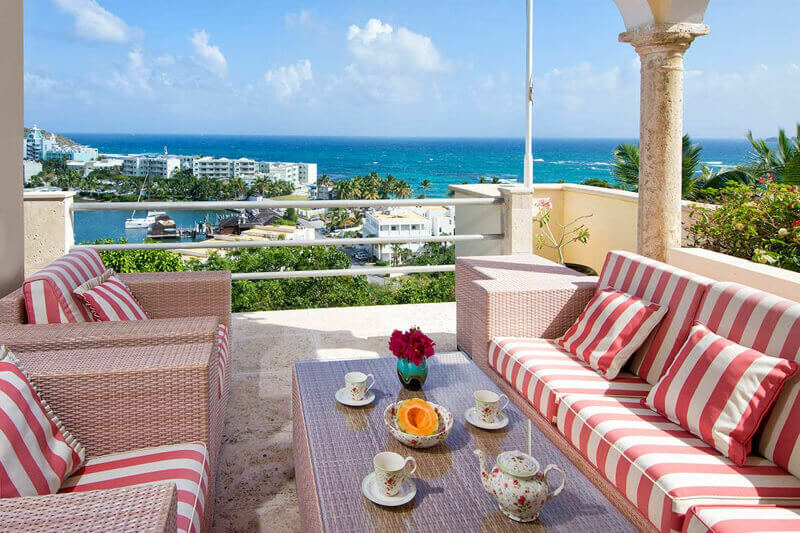 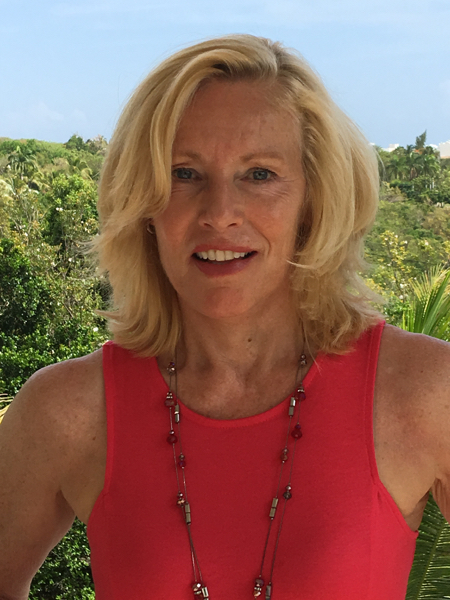 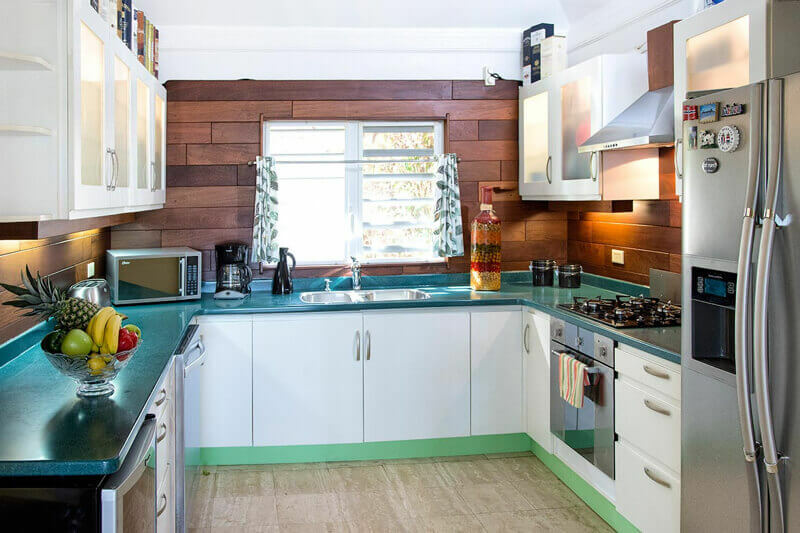 There are also bars, restaurants, and a small grocery store within walking distance.This stunning property is designed for the discerning traveler offering spacious accommodations and a full array of amenities. 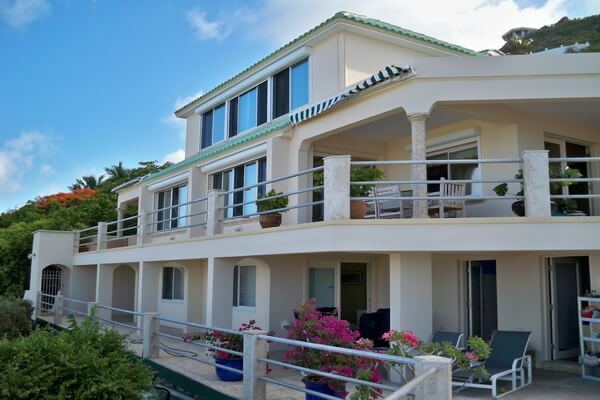 The villa consists of a three level main building and “The Cottage”, which is a a smaller 2 level building. 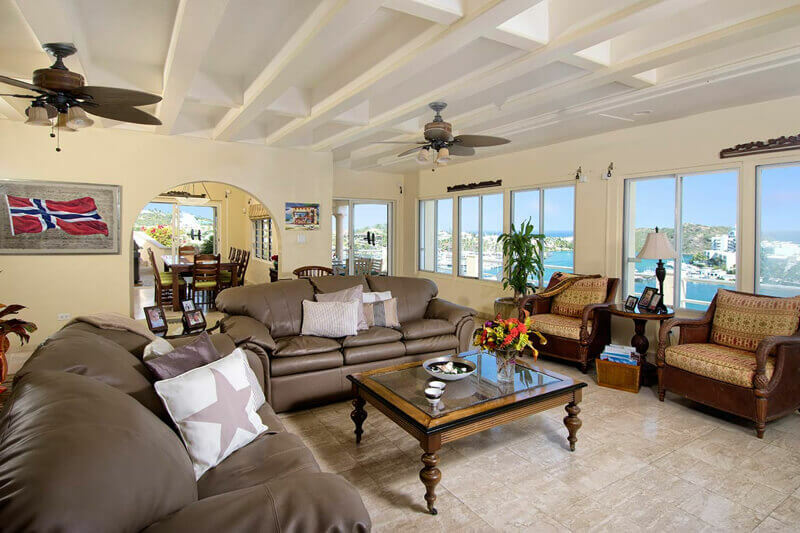 The main house boasts 4 bedrooms, 4.5 bathrooms and a generously sized living room, kitchen and a formal dining room. 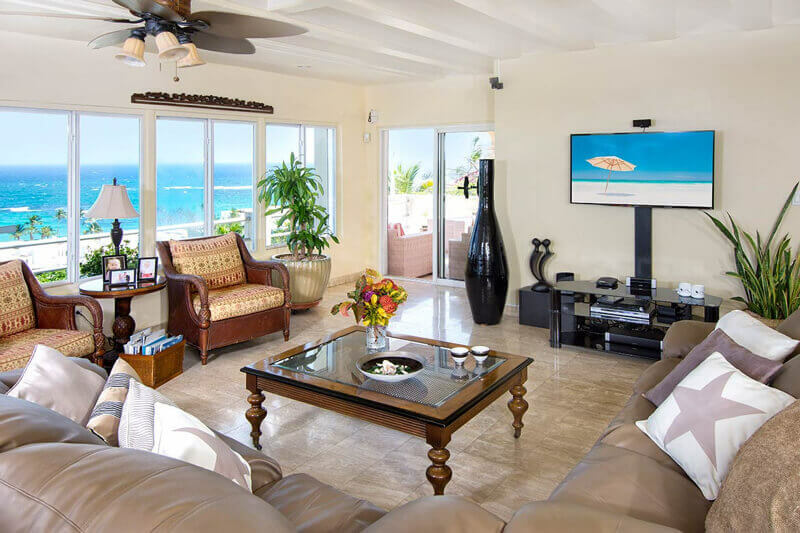 This living room and kitchen level offers marble floors throughout. 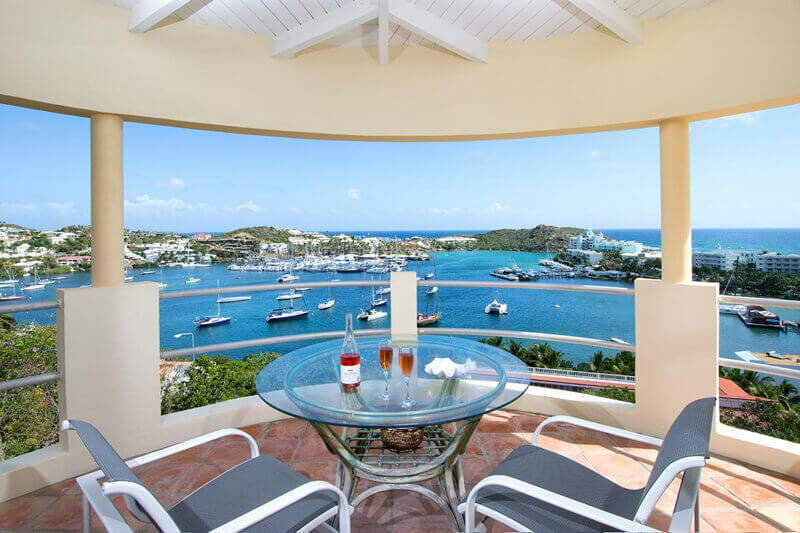 The views from the livingroom are spectuacular thanks to the panorama windows all along the front side of the villa. 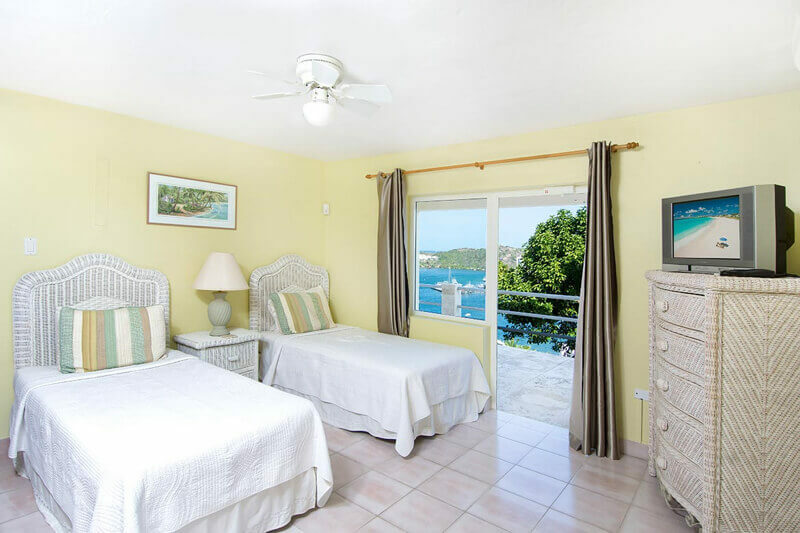 The 5th bedroom is situated in the cottage and is a spacious self-contained studio with own kitchen, living room and terrace overlooking Oyster Pond and the ocean. 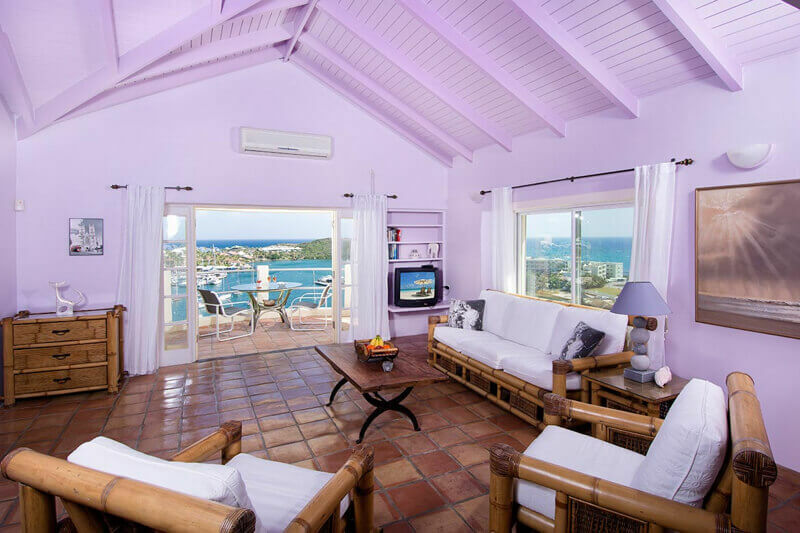 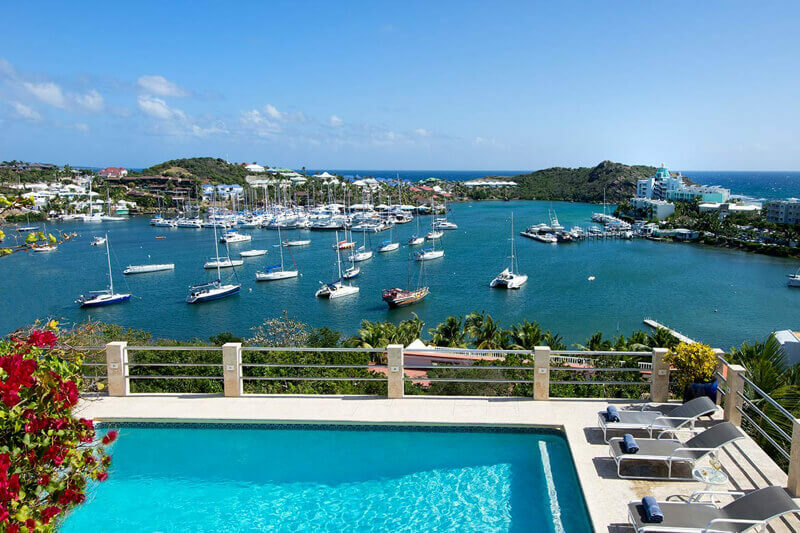 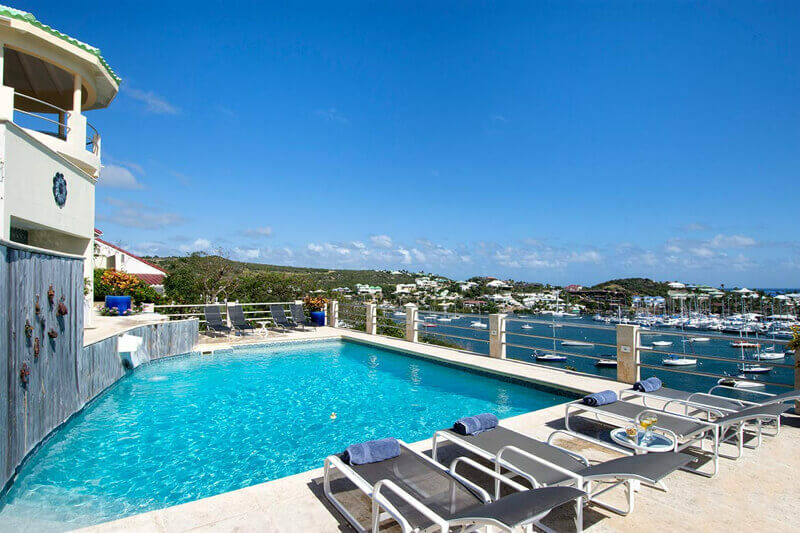 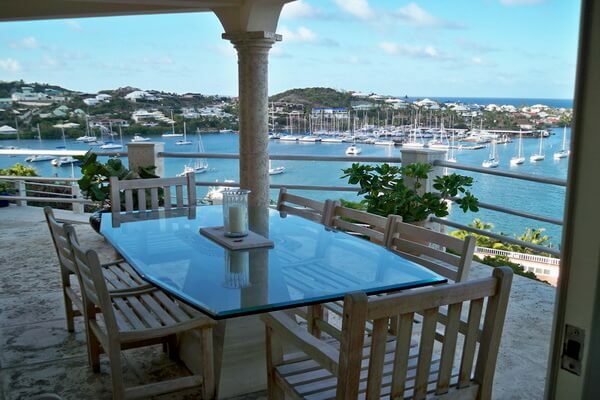 The large pool, decks and sitting areas are located on two levels of the house and area all overlooking Oyster Pond with is lively marina, Dawn Beach, and the surrounding ocean up to St. Barth’s affording some of the most breathtaking views of St Maarten ! 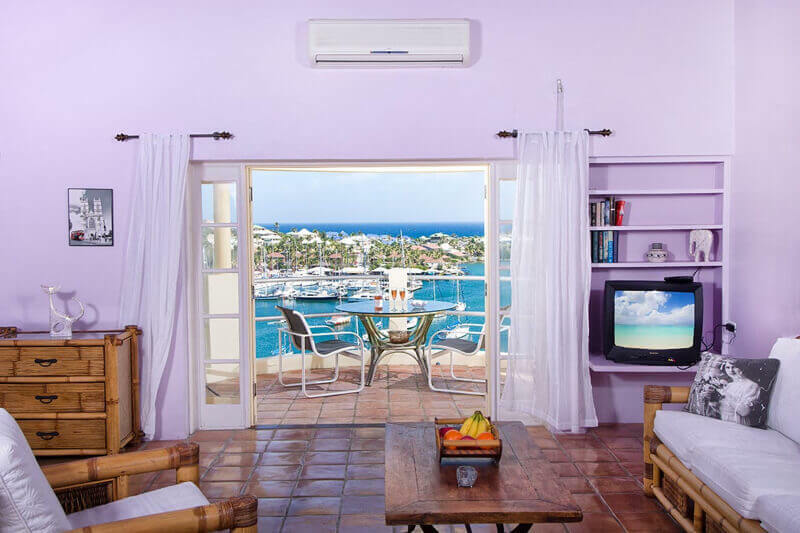 All of the bedrooms are air-conditioned. 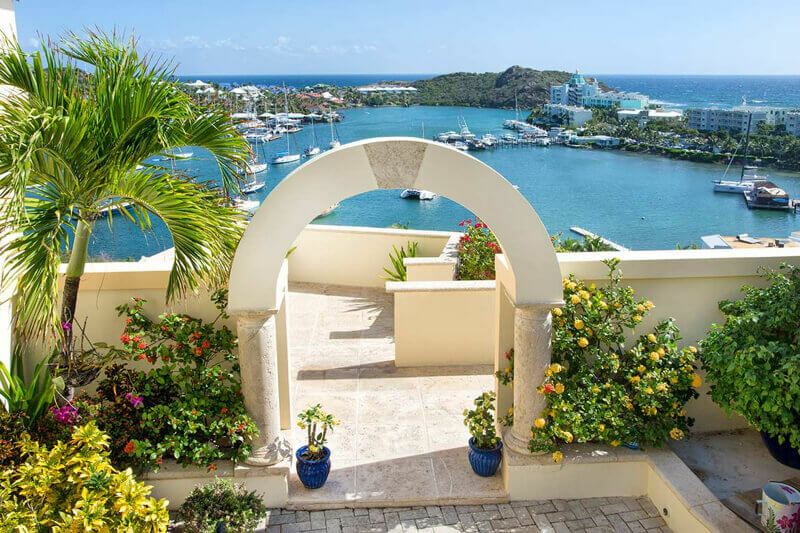 Experience this Caribbean “Garden of Eden” while basking in the friendliness and true hospitality of your Caribbean dream vacation. 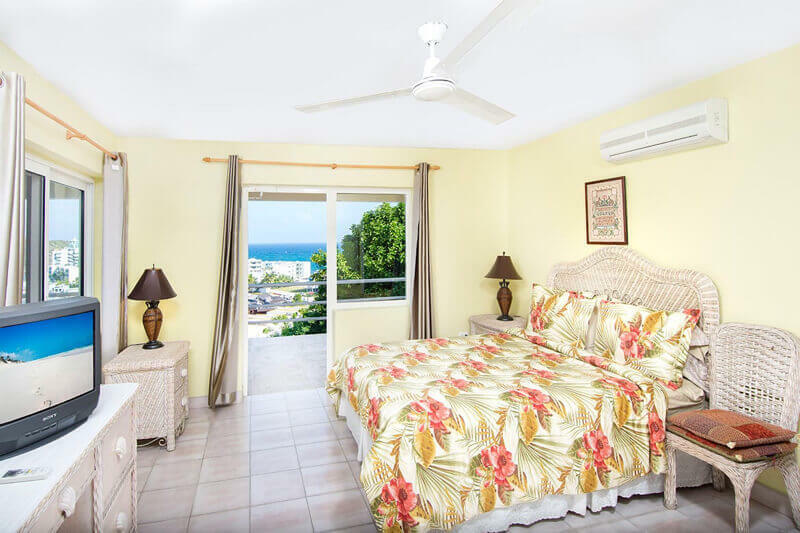 Bedrooms No 2 – Queen bed, air conditioning, ceiling fan, en-suite bathroom with shower and terrace. 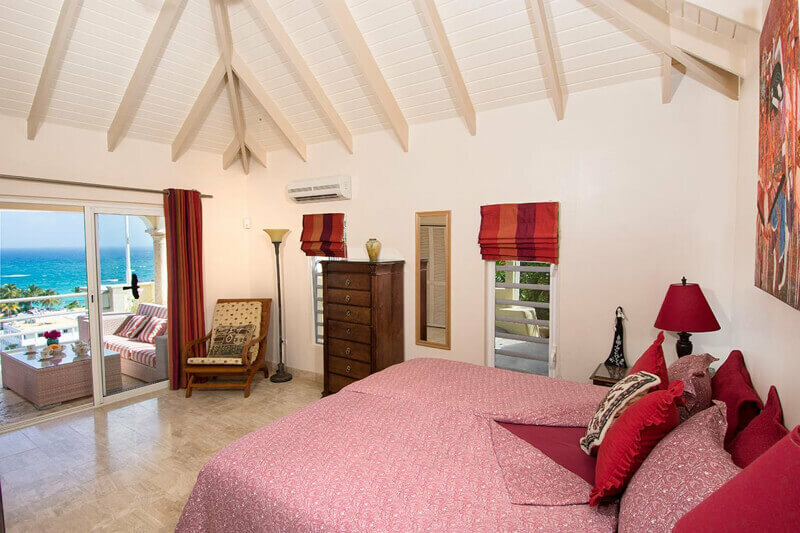 Bedroom No 3 – Two twin beds, air conditioning, ceiling fan, en-suite bathroom with shower and bedroom opens onto the pool deck. 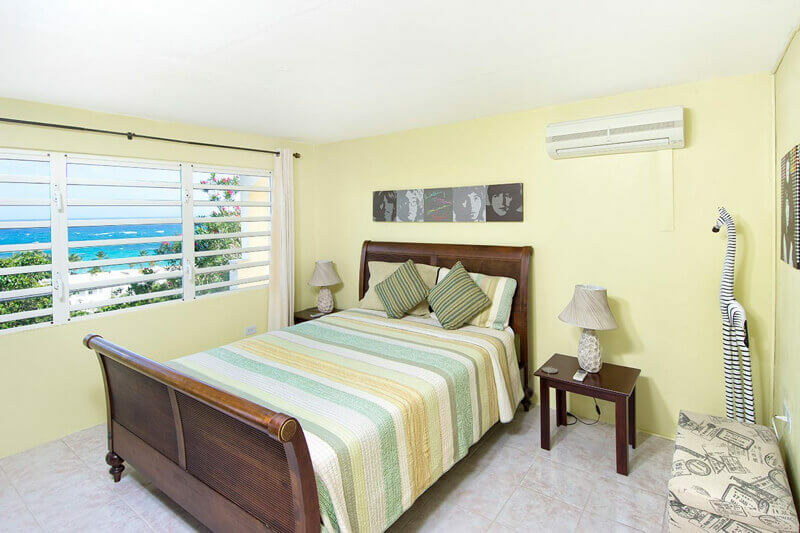 Bedroom No 4 – Queen Bed, air conditioning, ceiling fan, en-suite bathroom with shower and bedroom opens onto the pool deck. 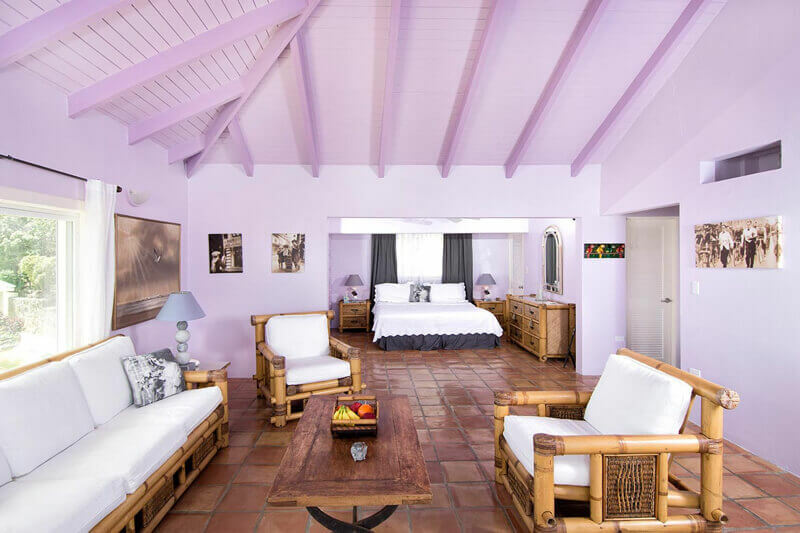 Bedroom No 5 – A separate cottage hosts a large studio apartment with queen bed, air conditioning, ceiling fan, en-suite bathroom with shower, TV, telephone and terrace. 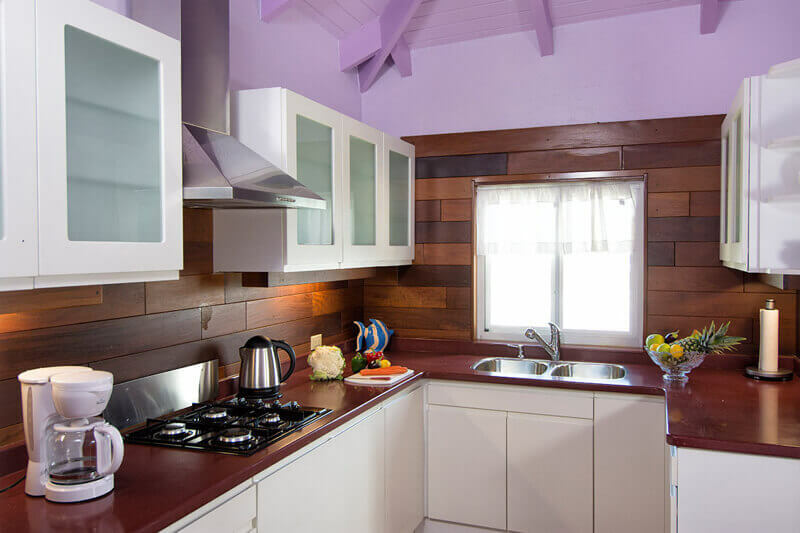 Fully equipped kitchen.Equipment includes stove, oven, fridge, ice machine, microwave, blender, toaster and coffee maker.